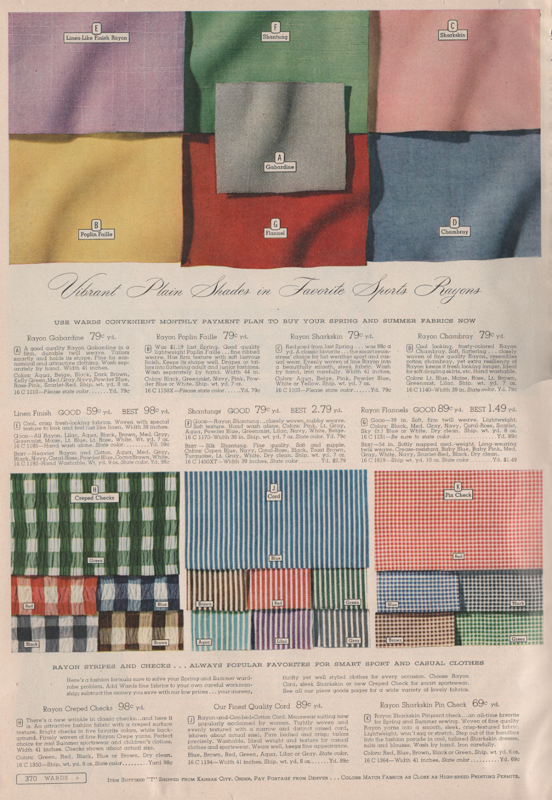 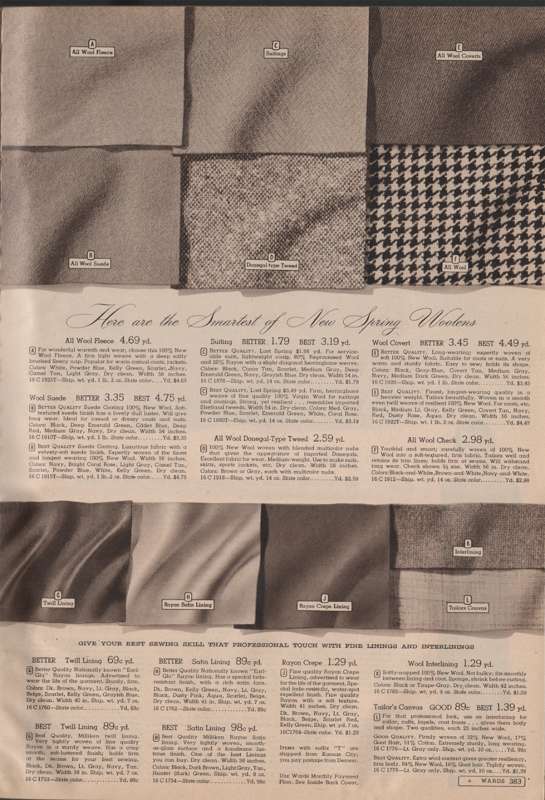 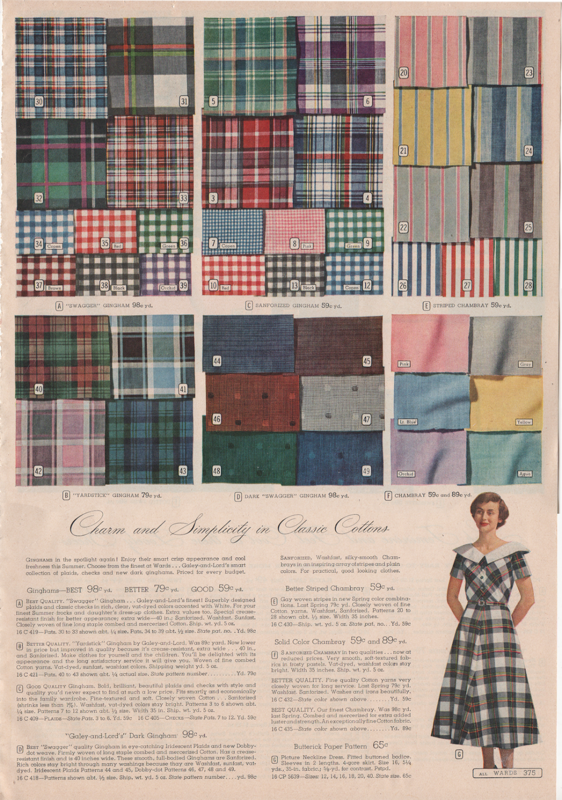 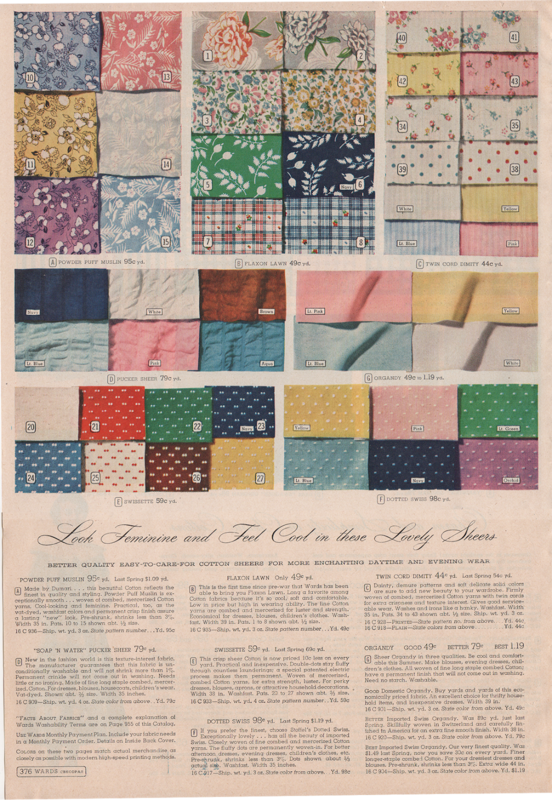 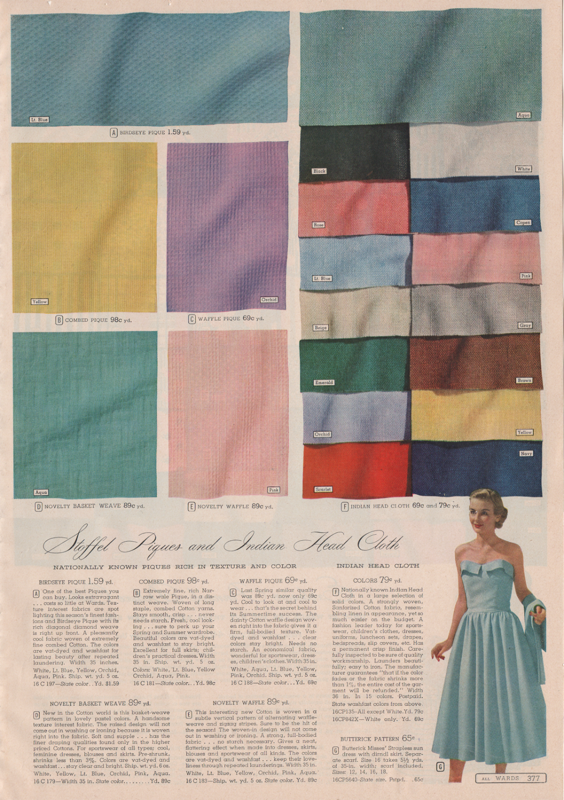 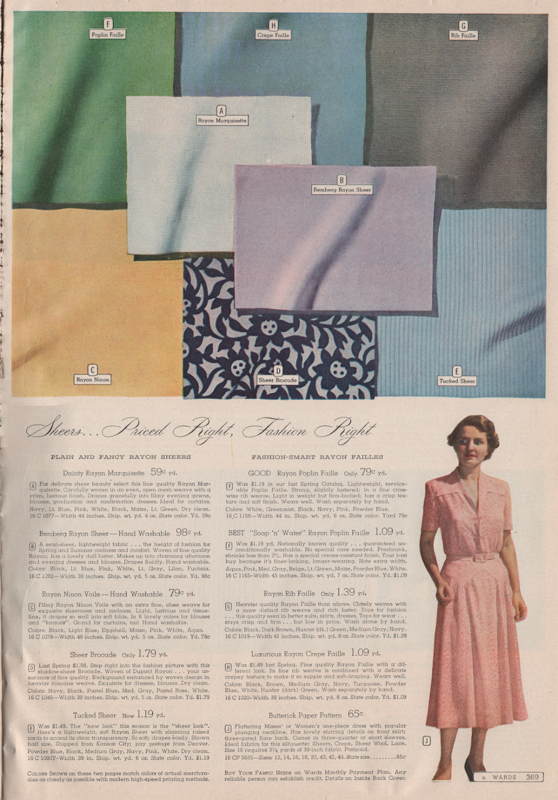 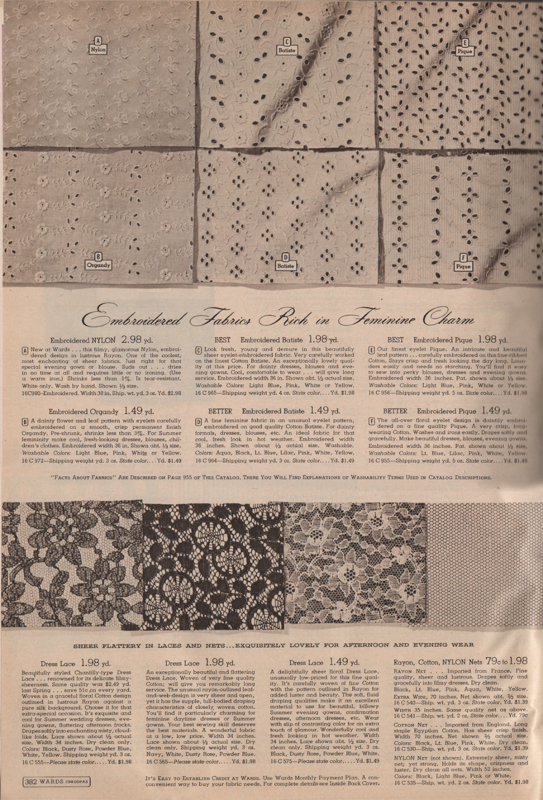 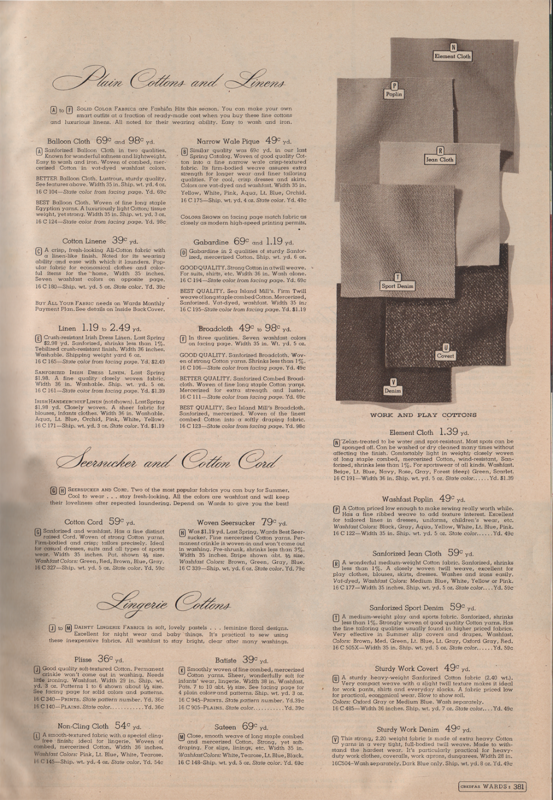 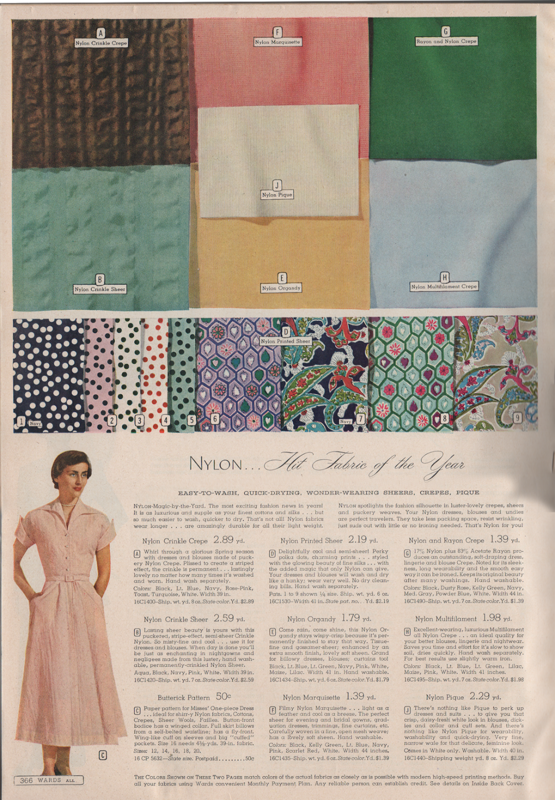 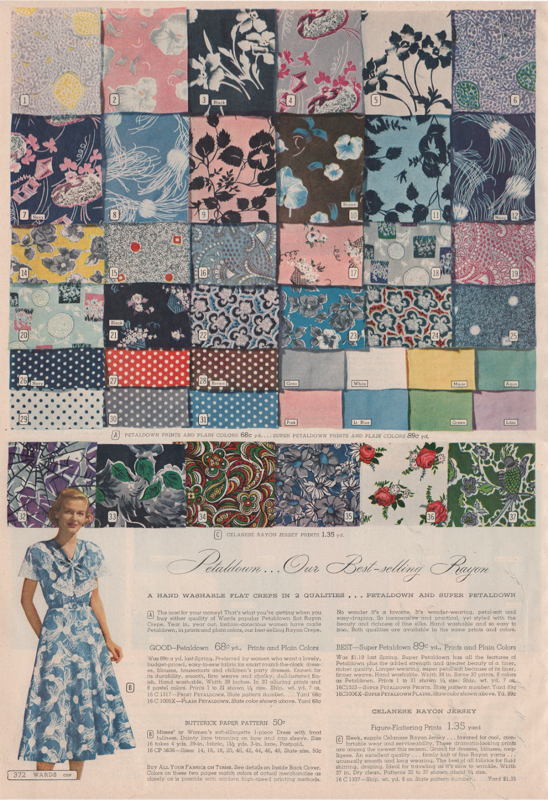 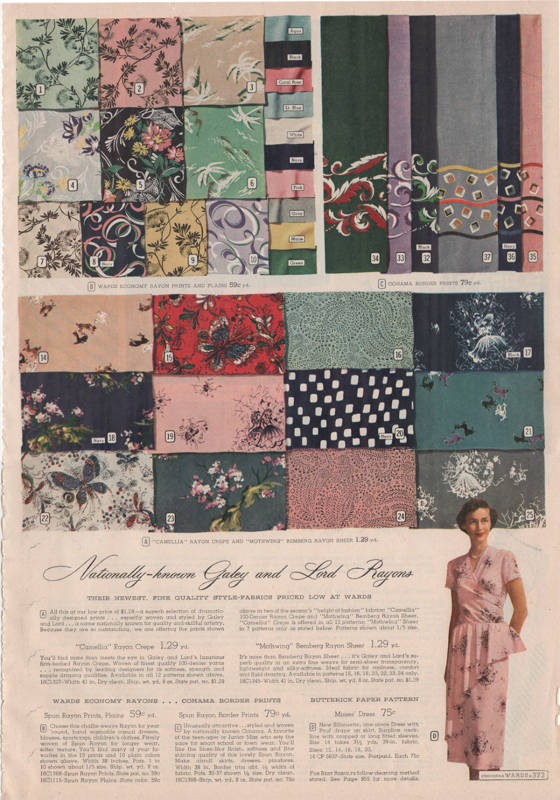 For the reproduction seamstresses out there, here are the fabrics available to Ward's customers for Spring/Summer 1950! 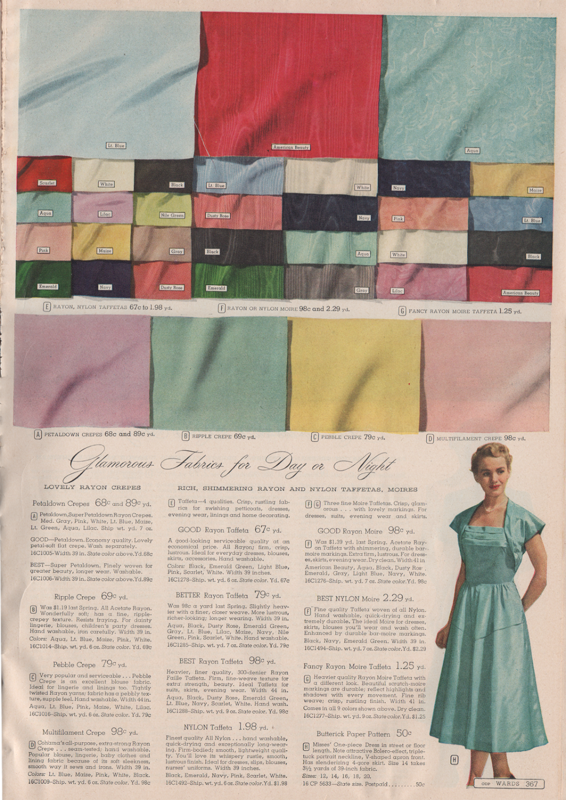 I always love these pages and descriptions since it can be hard to decide on fabrics for the most authentic look when you are new to vintage style sewing. 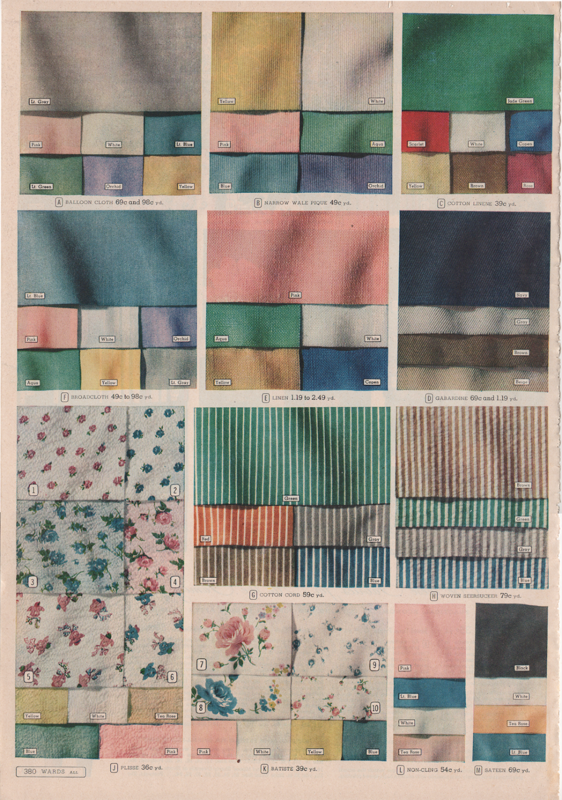 I only wish, as ever, that I could order up some of these fabrics for myself! 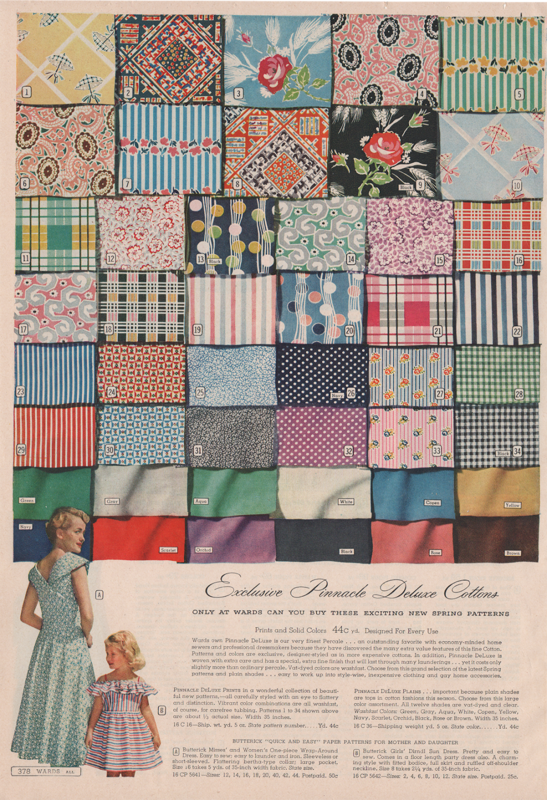 Ugh, these are amazing! 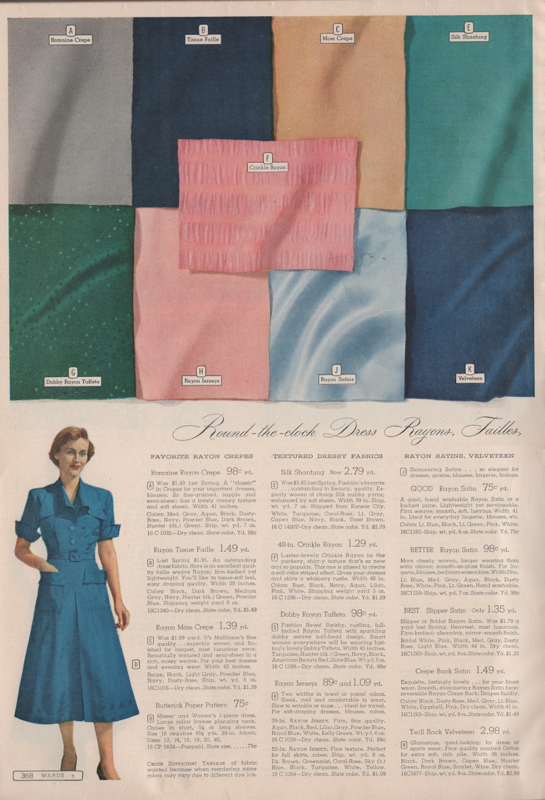 I'm so sad I didn't buy the 1940's sample sewing book I found at an antique store once. 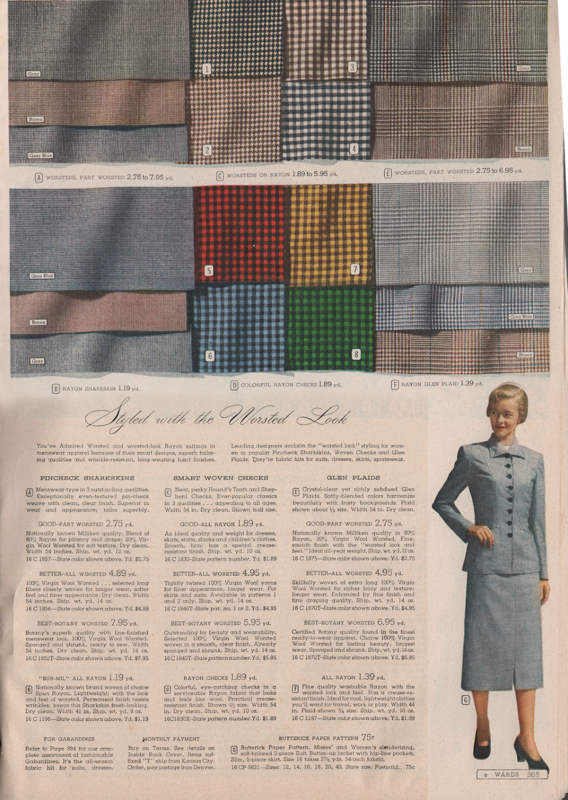 It had actual fabric samples inside and it was EVERYTHING. 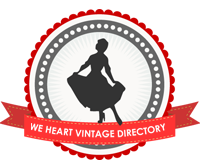 OMG... 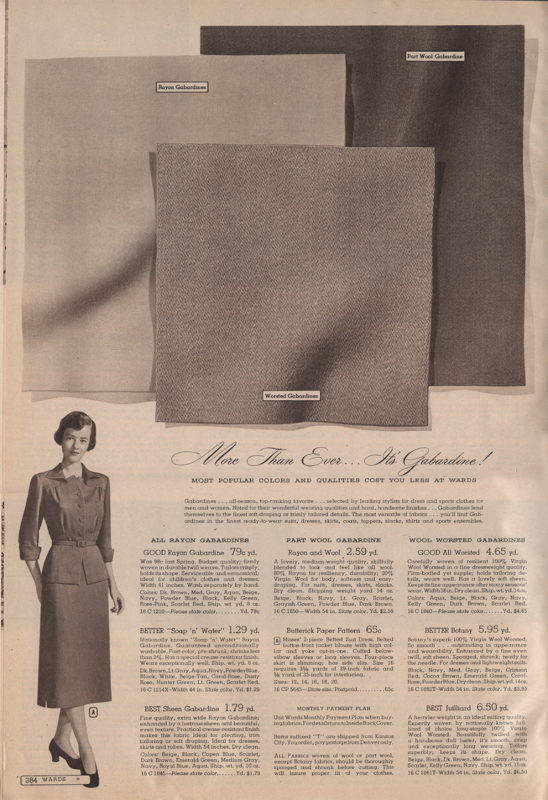 I need a drool towel now! 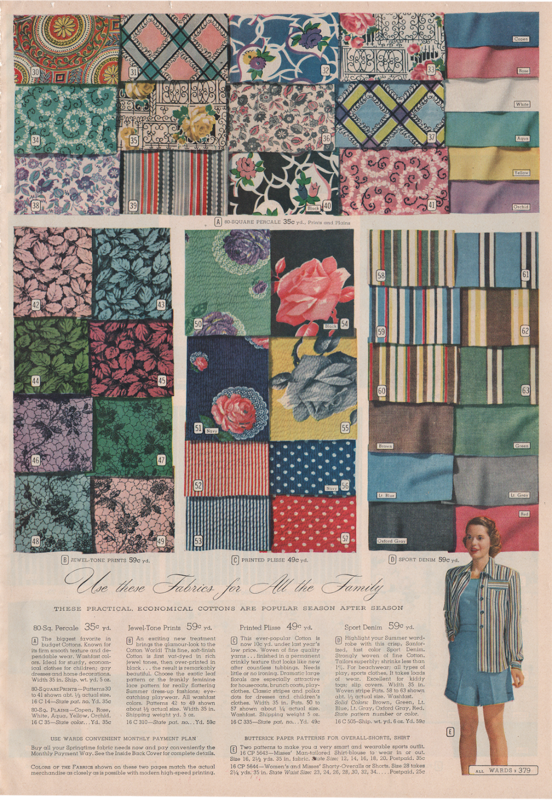 I think I could use just about any of those fabrics. 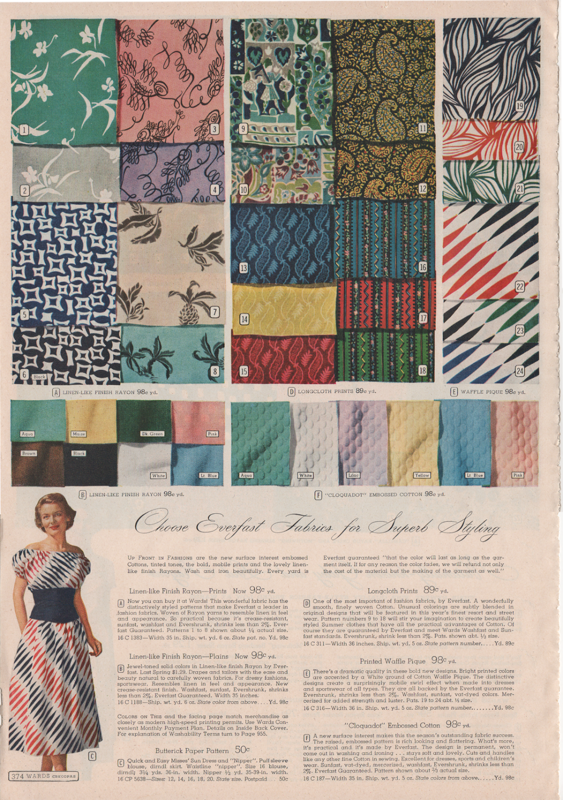 I love the prints, and I'd kill for the dark green moiré! 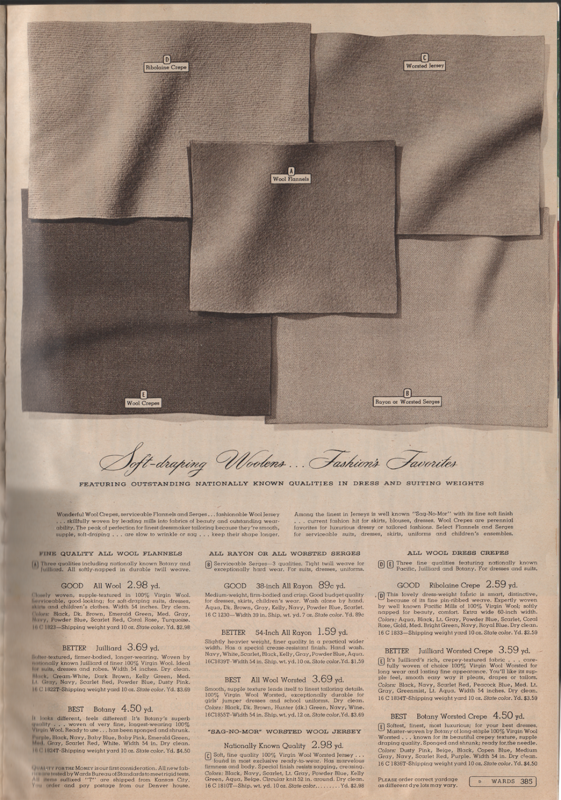 Those are fantastic. 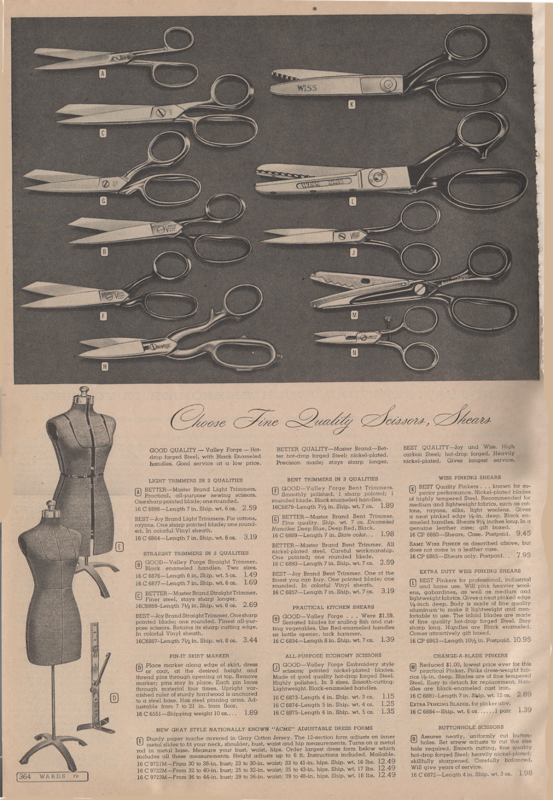 A real treasure-trove for people sewing nowadays too! 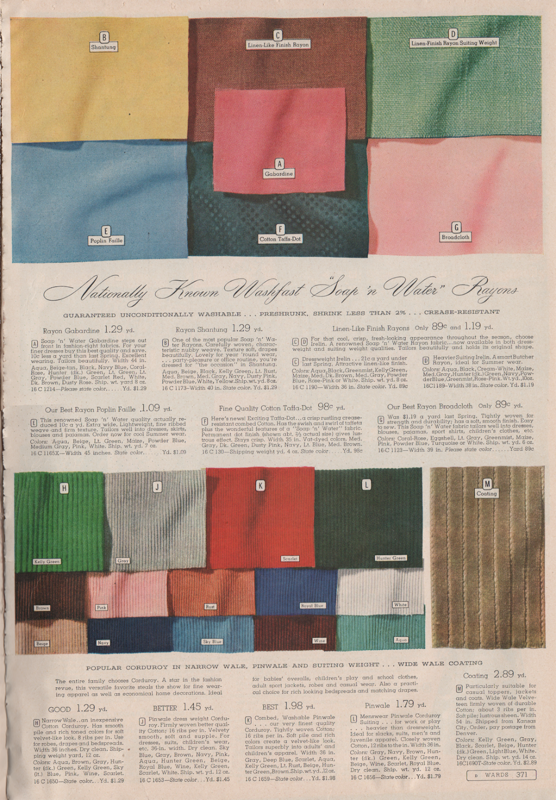 I like the way some fabrics come in 'good' and 'best' qualities too.